Hear the parable of Jesus, " 3 ...“Behold, a sower went out to sow. 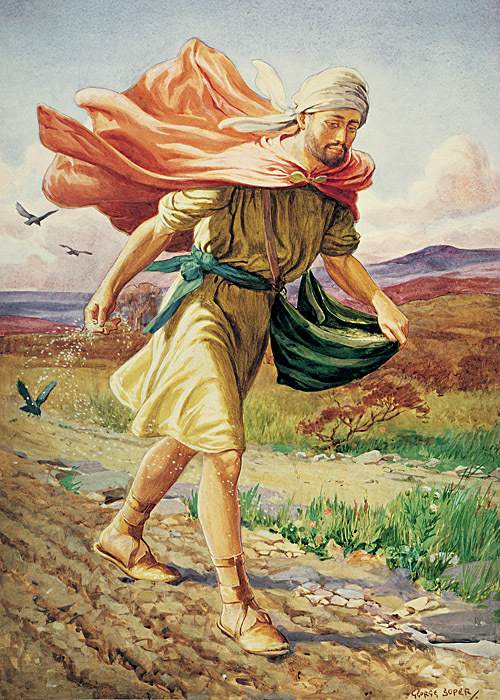 4 And as he sowed, some seed fell by the wayside; and the birds came and devoured them. 5 Some fell on stony places, where they did not have much earth; and they immediately sprang up because they had no depth of earth. 6 But when the sun was up they were scorched, and because they had no root they withered away. 7 And some fell among thorns, and the thorns sprang up and choked them. 8 But others fell on good ground and yielded a crop: some a hundredfold, some sixty, some thirty. 9 He who has ears to hear, let him hear!”" (Matt 13:3-9). Usually people tell stories to explain to people easily a particular truth. But Jesus did the exact opposite, He spoke in parables and stories mostly to hide the mysteries of the kingdom of heaven to those who are not deeply hungering for it (Matt 13:13-15). When the disciples asked Jesus why does He speak always in parables to people, he plainly said to them that it is appointed by God the Father to reveal the deep mysteries of the kingdom of heaven to the disciples because they are following Him with much sacrifice and desire to know the Truth of God's Word, but to the people who just have come to see some big miracles, get some benefits from Jesus and go away, it is obscured (Matt 13:10-12). Many prophets and righteous people of Old Testament times right from Adam to the generation before Jesus was born, desired to see the Messiah of Israel and be taught from Him directly the Truth. But Jesus has clearly revealed that they had no opportunity given to them by God, but these disciples of Jesus who searched for the Messiah of Israel in the same way were blessed enough to experience the very Truth of God in a bodily form through their eyes and ears physically, and also spiritually (Matt 13:16-17; 2 Peter 1:16; 1 John 1:1-2). Firstly, parables even in our days can be truly understood spiritually only by those who are sincerely seeking to know the Truth of Jesus more and more experientially. Secondly, for all others who do not have a sincere desire to know Jesus but just want to intellectually learn the Bible, will not understand the parables of Jesus deeply. 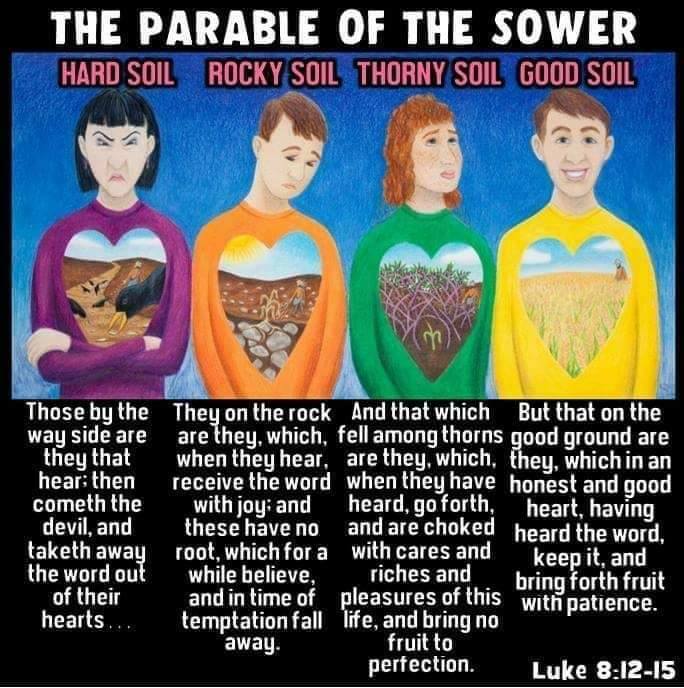 The parables are like ore of gold that are dug deep from the ground. Only those who take the pain to refine it again and again, then design it in to the desired shape will finally begin to see costly ornaments out of it. Jesus says, " 18 “Therefore hear the parable of the sower: 19 When anyone hears the word of the kingdom, and does not understand it, then the wicked one comes and snatches away what was sown in his heart. This is he who received seed by the wayside. 20 But he who received the seed on stony places, this is he who hears the word and immediately receives it with joy; 21 yet he has no root in himself, but endures only for a while. For when tribulation or persecution arises because of the word, immediately he stumbles. 22 Now he who received seed among the thorns is he who hears the word, and the cares of this world and the deceitfulness of riches choke the word, and he becomes unfruitful. 23 But he who received seed on the good ground is he who hears the word and understands it, who indeed bears fruit and produces: some a hundredfold, some sixty, some thirty.”" (Matt 13:18-23). Who is the Sower and the Seed? 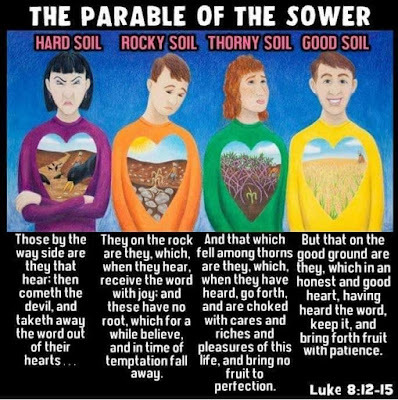 The sower is the preacher, teacher, disciples and believers in Christ Jesus who share the word of God, and the seed that they sow is the word of God which they speak through their mouth (Luke 8:11). Does the World Really Needs a Preacher? Yes in the kingdom of God the greatest need is to send out preachers who preach the word of God through words and godly examples. Preachers are not just the full time workers who do it inside the four walls of the Church, but it includes all the believers who are chosen by God to be light to this dark world (Matt 5:14). Even Jesus seeing the great harvest of souls through his spiritual eyes, He taught all believers to pray to the Father God in heaven to send out laborers in to His harvest (Luke 10:2). The harvest that is done is not ours but God's. Only we can cooperate with God's will for our generation and receive much reward for doing it at the end of our lives (Acts 13:22, 36). OUR PRAYER WILL MAKE THE FATHER TO SEND MORE LABOURERS IN TO HIS HARVEST. Why not choose to pray for A MIGHTY HARVEST from today sincerely? Mostly those who pray such prayers to God with a passion for souls to come in to the kingdom, they themselves become an answer to the world that looks for salvation, freedom from sin, peace, joy and true righteousness of God. The rewards are great for the prayer warriors who set the plans of God rolling. God moves on behalf of His people. We cannot do mighty works on our own without God, God will not do his work without us. We need to partner with God before we can see this generation fully changed by the power of God. The Apostle Paul emphasized the importance of preachers by saying, "14 How then shall they call on Him in whom they have not believed? And how shall they believe in Him of whom they have not heard? And how shall they hear without a preacher? 15 And how shall they preach unless they are sent? As it is written: “How beautiful are the feet of those who preach the gospel of peace, who bring glad tidings of good things!”" (Rom 10:14-15). In other words, Paul is saying unless a preacher is sent in to the world to preach the good news of the forgiveness and new life of Jesus, no one can really be saved. God uses human vessels to proclaim His Glorious message of His Son. God could have used an angel to proclaim the message of the Gospel, but he chose the redeemed Peter the Apostle to preach to the house of Cornelius in the first century (Acts 10:1-8, 19-20). God used a angel to create a divine connection so that the glorious gospel of Jesus could be shared by the Apostle Peter who received His mercy and grace in abundance in His own life. Certainly God has given the glorious gospel in our heart to share it with all others and save as many as He has appointed for eternal life (Acts 18:9-10; 13:48). This is a animated story about Gabriel and Jesus speaking to each other the moment He entered heaven after His ascension from the mount of Olives. Meeting Gabriel, Jesus stated that He had completed His divinely appointed task. "And what is your plan?" enquired Gabriel. "How is the Gospel to be spread? Did you leave a big strong organization on earth to carry out your plan?" "No," answered Jesus. "I left no such organization, only a small group of disciples, mostly of very humble birth. They are to tell the world". "But suppose they fail you," persisted Gabriel, "what plan have you then?" "I have no other but I rely on them", replied Jesus. Every act of God since creation is a 'missionary act'. And, 'Mission' is so close to God's heart that He sent His only Son, Jesus to make it possible to reach man. Today, almost two thousand years later, Jesus still has no other plan. In order to fulfill His Great Commission, He is relying upon you. So shake yourself up for a great end time harvest of souls that is ahead of you and get excited for the oppurtunity that God has given you to fullfill His Plan of eternity. Surely Jesus is relying and counting on you to fullfill His ETERNAL PLAN FOR HUMANITY. Praise the Lord! The heart of the unbeliever cannot understand even an iota of the word of God. This is what Jesus described in the first type of heart by saying, "When anyone hears the word of the kingdom, and does not understand it, then the wicked one comes and snatches away what was sown in his heart. This is he who received seed by the wayside." (Matt 13:19). The wayside is the path in which a farmer allows all passerby through it and the ground becomes so hardened that it cannot be used any more to cultivate plants. In the same way a unbeliever allows all kind of thoughts that comes to him from all devils to pass through his mind and he has no control over it after some time. The heart of such a person which has been soft and sensitive to the voice of God when he was born physically (Rom 7:9), becomes hard and insensitive to his own conscience which gets darkened as he grows up neglecting his own conscience which acts as a voice of God to all humans alike (Prov 20:27; Rom 1:21; 2:14-15). The unbelievers who hear the word of God will not understand it because the devil who instigates the unbelievers mind with a lie will substitute it immediately instead of the truth they hear through the sower's of the word of God. This is the reason Paul the apostle clearly described about this situation by saying, " 3 But even if our gospel is veiled, it is veiled to those who are perishing, 4 whose minds the god of this age has blinded, who do not believe, lest the light of the gospel of the glory of Christ, who is the image of God, should shine on them." (2 Cor 4:4). Blindness happens by the wrong choices of unbelief that the unbeliever continues to make, this unregenerated state keeps his heart in a hardened state of unbelief towards God and His Word. For this heart condition to get changed a decision needs to be made to accept Jesus Christ as one's Lord and Savior, so that a kingdom transfer can happen to make the heart a cultivatable land for God (Rom 10:9-10; Acts 26:18; Col 1:13; 1 Peter 2:9). When a powerful kingdom transfer happens from darkness to light, then the ability to understand the word of God comes to the heart (1 Cor 2:14-15; Matt 4:8). This is one of the reason that not all the people who just say a little "Sinner's Prayer" in a crusade do not get born again, but only those who really submit their life voluntarily to the Lordship of Jesus and his forgiveness from their heart. Intellectual prayers do not save, but heart prayers always saves people. Many unbelievers receive the seed of the word of God, but mostly respond to it half-heartedly like "he who received seed by the wayside". So only few unbelievers get born again and start to walk in the narrow way of salvation through faith in Jesus (Matt 7:13-14). All other unbelievers continue to walk in the broad way of Salvation through their own works and religiosity. The wicked one comes and snatches away only what was sown in these heart of unbeliever's, whose heart does not understand the word of God. The unregenerated stumbler is described as "20 ...he who received the seed on stony places, this is he who hears the word and immediately receives it with joy; 21 yet he has no root in himself, but endures only for a while. For when tribulation or persecution arises because of the word, immediately he stumbles." (Matt 13:20-21). These type of people will accept the gospel with joy, but their expectations will always be different from what the gospel really promises. Many accept the word of God with joy thinking that they can live as they want, but they expect to go to heaven at the end. Still others see that they can get a good social standing and a good loving community of people if they accept Jesus Christ as their Lord and Saviour. Still certain others people receive the word with joy so that they can prosper in their buisness because of positive thinking, get benefits from the government for better standard of living, to get educational benefits for their children from missionary instituted institutions in many countries, to avoid hell fire and for using it for their own benefits. These type of unregenerated stumblers are not born again really, but on their outward life will seem to be followers of Christ. They will have no real interest to be forgiven of sins and to avoid it in their lives. For example, Judas who followed Jesus seemed as though he was a true follower of Jesus so that no other apostles and disciples ever doubted his sincerity even on that day of the last supper (John 13:22). But only Jesus knew that Judas Iscariot was still having an unregenerated heart (John 6:70-71). Exactly Judas began to follow Jesus thinking that he will get a great share of treasure and power in the kingdom of the Messiah which they all expected Jesus to establish at that time (Luke 17:20-21; Acts 1:6-7). But when he found out that Jesus was just speaking about spiritual things primarily, his unregenerated heart began to long after the Money that came in to the ministry treasury bag and he began to steal it for which he was in charge of (John 12:6). He did not value the truth of forgiveness and eternal life that Jesus offered to him all those years. So when critical time of a tribulation and persecution arose against Jesus at the appointed time of His Crucifixion, he chose to become a betrayer just to get a meager thirty pieces of silver (Matt 26:14-16; John 13:2; Matt 27:3-5). This happened because Judas never had "no root in himself", and we know the root keeps the tree intact in the midst of Storm. The root of faith in Jesus was not in Judas to keep him strong when Satan tried to put this thought of betraying Jesus in his heart (Eph 3:17; Col 2:7). He immediately stumbled because of his love for money and riches which had got rooted in his unregenerated heart for a long time through Satan's plan (1 John 2:15-17). He had no love for Jesus or God in his heart, he played a hypocrite and loved money with all his heart. To such people the great man of God C. H. Spurgeon advises beautifully saying, "Beware, I pray thee, of presuming that thou art saved. If thy heart be renewed, if thou shalt hate the things that thou didst once love, and love the things that thou didst once hate; if thou hast really repented; if there be a thorough change of mind in thee; if thou be born again, then hast thou reason to rejoice: but if there be no vital change, no inward godliness; if there be no love to God, no prayer, no work of the Holy Spirit, then thy saying "I am saved" is but thine own assertion, and it may delude, but it will not deliver thee.". So our prime most need is to be saved first and then start to love God and people with all our heart (Matt 22:34-40). No amount of religious activity like miracles, prophecies, preaching and seed sowing activity has power to save our souls, but only a personal relationship with Jesus can (Matt 7:15-23). Judas was one among the apostolic disciples to do all miracles and preach the kingdom of God, yet at last only went to hell fire to be condemned for his sins (Luke 9:1-2, 6; 10:1, 17-20; Matt 27:3-5; 26:24; Mark 14:21). BE SAVED AND BECOME A FAITHFUL SOWER OF GOD'S WORD FOR GOD'S GLORY! The wicked one Satan and his demonic cohorts does not have the same rights over a believer and so other methods of deception he uses to make believer's get deceived and be completely fruitless in their lives. These other types of believer’s hearts are described hereafter. The Regenerated Children of God who are fruitless and useless for God are described saying, "...he who received seed among the thorns is he who hears the word, and the cares of this world and the deceitfulness of riches choke the word, and he becomes unfruitful." (Matt 13:22). The thorns in the heart of the careless believers are the cares of this world and the deceitfulness of riches. Such worldly mindedness will choke the power of the word from working fully in their lives. These people are those who are born again through receiving the seed of the word of God with humility and are saved from sin and death (Rom 6:21-23; 1 Peter 1:23; James 1:18, 21), but because of their lack of faith in God's provision and their lethargy towards seeking the presence of God, have become unfruitful in their Christian lives (Matt 6:32-33). Still other believers of these types are entrapped by Satan with the strong influence of a worldly mind that has been unchecked for a long time, thus putting the love of money and pleasure in their heart. These believers who are with a strong "desire to be rich" fall in to temptation and a snare which usually drowns all ungodly men in to destruction and perdition (1 Tim 6:9-10). These believers will live a miserable life without experiencing abundant life that Jesus promised all his true disciples (John 10:10; Luke 12:15-21). They will lose the reward that God has planned to give them for eternity (Rev 3:11). These people who are fruitless can also be religious. The works that they do are done without abiding in the vine of Jesus and therefore such works will be burned when it is thrown in to the fire of the final Bema Judgment for believers at the end of their lives. These believer's are clean and are saved, not because of their behavior but only because they have believed Jesus and therefore have been forgiven by the word of Jesus spoken over their lives (John 15:3; 6:39-40; Matt 9:5-6; Luke 7:48; 5:23; Mark 2:5). 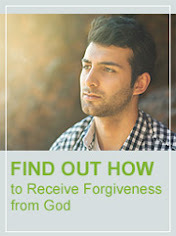 These believers are forgiven for His name sake and will enter in to heaven (1 John 2:12). Even though they themselves will be saved because of what Jesus has personally done to save them (Rom 5:8-10; 1 Cor 3:15, 13-14), these believers will go rewardless in eternity and will regret greatly (Matt 6:19-21; 2 Cor 5:10-11; Rev 3:11; 21:4). Being just a believer and not a disciple have made these believers to be fruitless and useless in bringing no glory to the Father God who had loved them unconditionally and saved them through Jesus (John 15:1-8). Salvation is not a fruit bearing process but an event that empowers God's people to bear fruit (Rom 10:9-10; Eph 2:8), so the True Vine and the Branch analogy Jesus refers in John 15th Chapter is not about salvation but about the result of salvation and its reward that follows it (John 15:1-8). So whatever work these fruitless believer's would do with their own strength, without the pure motive of love and thankfulness towards God for their salvation, will be of no eternal value as it will be done with a lack of right motive before God (1 Cor 4:3-5; 1 Thess 2:4; Rom 14:10,12-13). SO BEAR FRUIT OF THE HOLY SPIRIT IN ALL GOOD CHARACTER AND GLORIFY GOD WITH YOUR LIVES! The Spiritual Believer's are described in this parable by Jesus saying, "...he who received seed on the good ground is he who hears the word and understands it, who indeed bears fruit and produces: some a hundredfold, some sixty, some thirty." (Matt 13:23). The spiritual believers are those who always clearly understand the word of God (1 Cor 2:14-16). But the result of the harvest in various degrees in each one of their lives depend on the kind of relationship they maintain with the Lord. It doesn't matter how much intellectual mind a person has, it has no value with God (1 Cor 1:27-28). I mean sometimes God may use the intellect of some people to glorify him (1 Cor 1:26), but mostly the harvest comes because of the spiritual understanding each believer receives in their spirit-man as revealed by the Holy Spirit (1 Cor 2:10-11). 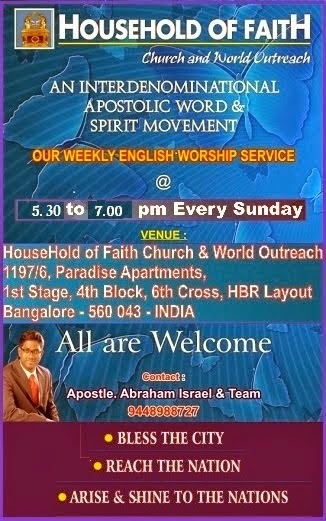 Apostle Paul did not pray for all the people of God in Ephesian Church to be filled with the gifts of the Holy Spirit for a mighty harvest, but for them to be given "the spirit of wisdom and revelation" so that they might know the power of God manifested in and through their lives for the Glory of God (Eph 1:17-19). The amount of knowledge and the mind of Christ in us is directly proportional to the fruit and produces that comes out of our lives (Eph 1:17; 1 Cor 2:16). How much of Jesus we are able to understand from each scripture will easily indicate us the kind of knowledge we have of the Lord (John 5:39; Luke 24:27; Acts 8:35). God says to ask for wisdom to understand more and more of the Scripture and that He will give to each one liberally and without reproach (James 1:5). Praise the Lord! 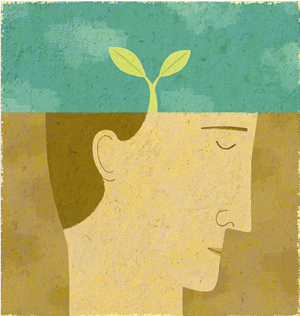 First - The Faithfulness of the Sower. The power and potential in the word of God never changes. As the Scripture says, “For the word of God is living and powerful, and sharper than any two-edged sword, piercing even to the division of soul and spirit, and of joints and marrow, and is a discerner of the thoughts and intents of the heart." (Heb 4:12). The seed power that reside in the word of God will exhibit itself only when the sower is faithful to sow the seed. This is the reason we need to train ourself to sow the seed of the word through various ways we can do continuously and faithfully. For example, we can print our testimony and share it whenever we meet a new person, we can share the word of God through internet as it is a powerful tool to reach many other technos around the world in our generation, we can teach and preach the word of God where ever God opens a opportunity for us to share it in season or out of season (2 Tim 4:2), we can invite people for Bible studies and expound or discuss the issues that relate to our times and their lives, we can live joyfully always as a testimony to His word and share the reason for our Joy to others, etc.... God will always appreciate and reward us for our faithfulness in the end (Matt 25:21, 23). Never be discouraged by the poor response of people to the preached word, it is our duty to do it and it is the duty of the Holy Spirit to convict people of their sin and turn them more and more towards our Lord Jesus (John 16:8-13). Each heart condition is unique and different that only the Lord can break through the hammer of His word and use it for His Glory (Jer 23:29)! The Lord also wants us to be faithful also in the area of money that he provides to us. When we are faithful to spend it according to His plan and give to Him cheerfully always, then the Lord will bless us with much spiritual blessing that are the highest blessing a man can receive on planet earth (Luke 16:10-13). When we are spiritually blessed, we are in a position to bless people and be a blessing through out the whole wide world (Gal 3:14; Gen 12:1-3; 47:7). Faithfulness and obedience to the word of God unlocks the spiritual blessing of God to become a effective sower and an ambassador of the kingdom of God (1 Cor 3:6-10; 2:12-13; Eph 6:19; 2 Cor 5:20). Second - The Condition of the heart of those who receive the Word of God. The condition of our heart plays an utmost importance in how much quantity of fruit we bring out of our lives. The three different level of harvest that is described as "a hundredfold, some sixty, some thirty" in this parable are the various levels of harvest that each believers brings out of their God given life. What does God say to us regarding maintaining our good fertility of the spiritual soil of our heart? God says to us, "12 Sow for yourselves righteousness; Reap in mercy; Break up your fallow ground, for it is time to seek the LORD, till He comes and rains righteousness on you." (Hos 10:12). In other words, unless we allow God to break our hardened heart more and more, we will not be able to see a great harvest of God's righteousness through our lives. God only breaks the fallow ground for those who seek God to have more and more of His fullness. He chastises, cuts and breaks only those whom He loves (Heb 12:6; John 15:2). Meditating on the word of God makes our heart to be ploughed, softened and made a fertile soil (Psa 1:2-3; 39:3; 119:11; Jos 1:8). Then being filled with the Spirit of God all the time keeps the spiritual soil of our heart to stay tenderly soft as a watered garden and will continue to be a rich fertile soil for a hundred fold harvest in these end of end times (Isa 58:11; Eph 5:17-18). So keep doing the basics and I promise you that you will be glad you did discipline yourself daily while you walked as a pilgrim on earth and will be grateful to the Lord and to me for telling you to do it, for eternity ahead you will be satisfied that you did not waste your precious God-given time on earth (1 Cor 9:27; Psa 39:12; 119:19; 1 Chr 29:15; Heb 11:13). The Scripture reminds and exhorts us to, "Guard your heart above all else [from getting hardened by the deceitfulness of sin (Heb 3:13; 4:7)], for it determines the course of your life [and the harvest that you will reap as a eternal reward]." (Prov 4:23, NLT). Keep encouraging one another so that we may as a group might keep our heart softened and watered for a mighty harvest in our generation! Third - The influence allowed by each person to the enemy after the reception of God's Seed of His Word. Apostle Peter has clearly said, "11 Beloved, I beg you as sojourners and pilgrims, abstain from fleshly lusts which war against the soul, 12 having your conduct honorable among the Gentiles, that when they speak against you as evildoers, they may, by your good works which they observe, glorify God in the day of visitation." (1 Peter 2:11-12). In other words, Apostle Peter is saying to the believers to avoid allowing the lust of the flesh, lust of the eyes and pride of life to influence their soul (1 John 2:16). Clearly here he reveals that the way we behave before the heathens will decide whether they will be influenced and saved when God chooses to visit their lives through our example of godly living. If we do not behave the way God has empowered us to be with the power of the Holy Spirit, it will bring great shame to the name of our glorious God and Saviour Jesus, whose name we bear is already spoken by the worldly people as evil under the devil's influence in their lives. Never forget that your intergrity in your hidden life is already watched by some one who does not seem to have any interest in God. They watch you to see if what you say with you mouth is a reality in your life and it becomes a great testimony for Jesus when your conduct is honourable with the light and love of Jesus. YOUR LIFE SPEAKS MORE THAN YOUR WORDS! The Jesus Himself instructed all believer to "watch and pray so that we might not enter in to temptation" (Mark 14:38). It is our duty to be watchful always through prayer and not blame the devil or our circumstances when we fall in to sin. The devil has always been there and his only aim is to steal kill and destroy the abundant life of God that is available virbrantly within us (John 10:10). If we do not choose to resist the devil in any areas of our life, slowly he will creep in to our soul to destroy that heavenly life of God within us. When we choose to resist the devil, then God who sees our heart will immediately give us a great grace in our soul to resist the evil and the corrupting influence of sin (Gen 4:7; James 4:7-8). Humility to accept that we have sinned when we do sin before God will keep us cleansed by His blood and make us continue to be lifted up by His Presence which strengthen us with His Joy (James 4:9-10; 1 John 1:9; Neh 8:10).